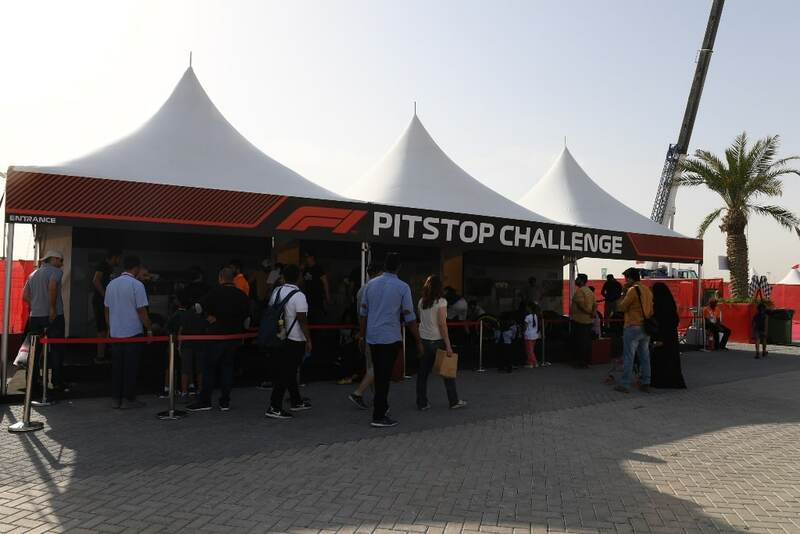 Bahrain International Circuit’s (BIC) off-track entertainment at this weekend’s Formula 1 Gulf Air Bahrain Grand Prix 2019 would not be complete without a series of activities that give race fans a first-hand taste of life in motorsport. The F1 Fanzone provides just that. A staple at BIC’s Formula 1 Village vending area each year, the F1 Fanzone is the central place where Formula 1 aims to break down the barriers between the sport and race enthusiasts. It offers a variety of engagement activities that are similar to what is experienced by drivers, team personnel, and others involved in the world’s leading racing championship. These F1 Fanzone activities include F1 Esports, a Reaction Challenge, a Pitstop Challenge and a TV Challenge, plus an appearance of driver Bobble Heads. Each offers its own unique thrills, and they all add to the “Limitless” fun and excitement this Thursday to Sunday (Editor’s note: March 28 to 31) at “The Home of Motorsport in the Middle East” in Sakhir. F1 Esports is where fans can race against 15 other competitors in the official Formula 1 video game. 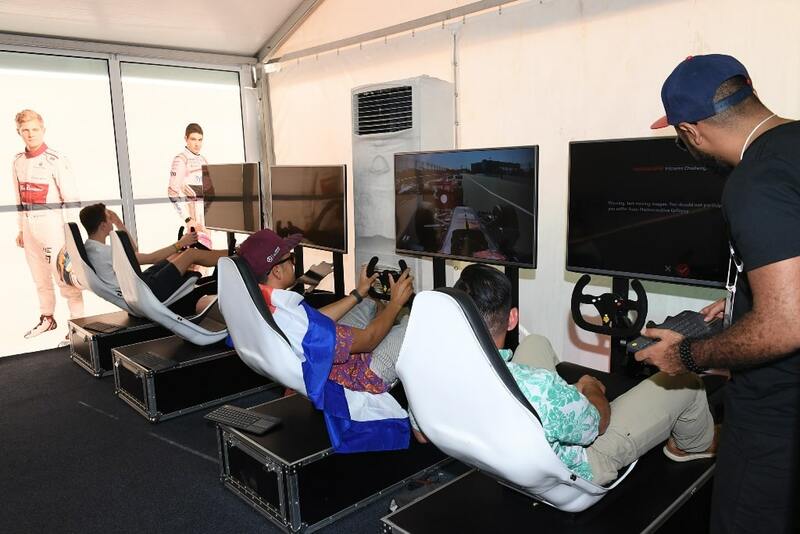 Battles are held throughout the day on the virtual Bahrain Grand Prix race track and the 10 quickest of each day get to go on an F1 Paddock tour with an accompanying guest of their choice. Meanwhile, Formula 1 drivers have some of the quickest reaction speeds in the world, and the Reaction Challenge gives fans a chance to test their own such abilities. This family activity calls on teams of four to press as many of the flashing lights as possible on an F1 steering wheel in the space of one minute. The fastest participants get to win a prize along with the ultimate bragging rights. The Pit-stop Challenge gives fans an insight into what it takes to be a part of a world-class pit crew. This activity gives three teams of six the chance to compete against each other in a knockout competition changing Pirelli tyres on a Formula 1 car. A contest for the top three teams are held daily, with an F1 Paddock tour awaiting the entire winning team. Formula 1 will bring a pitstop crew from one of the top flight’s teams to do a pitstop demonstration for the fans, and even compete against some of them. The F1 TV Challenge lets participants experience what life is like as a Formula 1 commentator. Those who take part can choose between three top moments from a Grand Prix and receive those clip to share on social media after activation. The clip with the most likes during the day will receive a prize from Formula 1. Finally, fun is all around with eye-catching bobble heads of all 20 Formula 1 drivers from this season. They will be a part of the roaming entertainment acts at the F1 Fanzone and throughout the general area of the circuit as they mingle with fans and drum up excitement with memorable photo opportunities. All these plus so much more can be enjoyed off the track at the F1 Fanzone, only at the Formula 1 Gulf Air Bahrain Grand Prix 2019 at BIC. Tickets to the Grand Prix are the hottest in town, so fans interested in attending the race weekend are urged to pick theirs up at the earliest to ensure their attendance in the region’s biggest event this year. For further information on the Formula 1 Gulf Air Bahrain Grand Prix 2019, visit bahraingp.com or call the BIC Hotline. Also, follow BIC’s official social media accounts on Facebook (facebook.com/OfficialBahrainInternationalCircuit), Twitter (@BAH_Int_Circuit), Instagram (instagram.com/bah_int_circuit) and YouTube (youtube.com/bahrainbic) for regular updates.